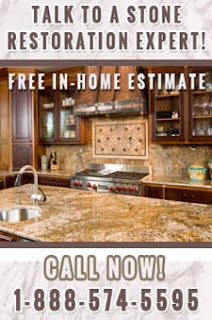 Is your natural stone floor or countertop cracked, chipped, or in need of specialist care from a NYC Stone Restoration Company? With over a decade of experience, Statewide Stone Care's restoration professionals deliver repair methods to restore your natural stone to beauty. Our commitment to customer satisfaction and affordable rates give you the result you're looking for at a price within your budget. Countertops and floors are an integral part of your home. Cracks in stone floors take the focus off the beauty. Many stones like granite and marble are remarkably durable and see lifespans that reach decades, however they are not completely resistant to cracking. A heavy object dropped on your floor or regular stress placed on your countertop can eventually crack or split the stone, requiring a NYC stone restoration company to fix the problem. When you first notice a chip or light crack in your stone, make sure you call Statewide Stone Care. We use the latest equipment and stone repair techniques to provide the results you want. Our stone repair services can remedy your countertop, floor, or back splash and bring focus back to your stone's natural beauty - where it should be. 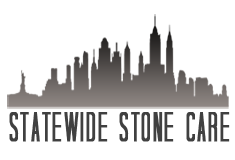 For more information about our NYC Stone Restoration Company, call Statewide Stone Care today at (888) 574-5595.